Who drives you to and from the airport? Do you beg your friends? Stress out wondering if an Uber will be available for your super early flight? Or pay too much for the luxury of a limo? Wingz has another option. 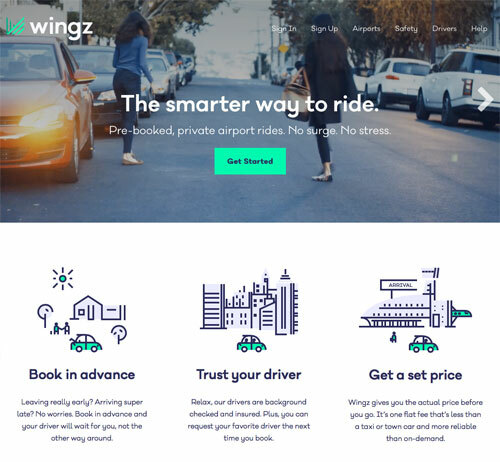 Pre-booked, flat-rate airport rides. No surge pricing. No stress. You can even request your favorite driver and eliminate driver roulette. After using the service, we were hooked and set out to craft clear messaging and copy to communicate their unique value proposition and differentiate the service amidst an uber-crowded competitive market.